Before email, before "the web," before hackers and GPS and sexting, before titanium implants, before Google Goggles, before Siri, and before each and every one of us carried a computer in our pockets, there was cyberpunk, and science fiction was never the same. Cyberpunk writers--serious, smart, and courageous in the face of change--exposed the naivet of a society rushing headlong into technological unknowns. Technology could not save us, they argued, and it might in fact ruin us. Now, thirty years after The Movement party-crashed the science fiction scene, the cyberpunk reality has largely come to be. The future they imagined is here. 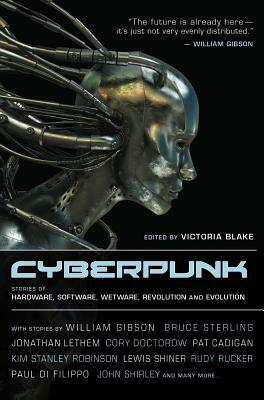 In this book, you'll find stories by legendary cyberpunk authors like Bruce Sterling and William Gibson, as well as stories by new cyberpunk voices like Cory Doctorow and Jonathan Lethem. You'll find stories about society gone wrong and society saved, about soulless humans and soulful machines, about futures worth fighting for and futures that do nothing but kill. Welcome to your cyberpunk world.